Wow, you guys have a lot of opinions! Starting in January, we put out our annual questionnaire. You filled it out, shared it with friends and we pulled together the whole enchilada into this issue. Thanks! We can't do this without you. 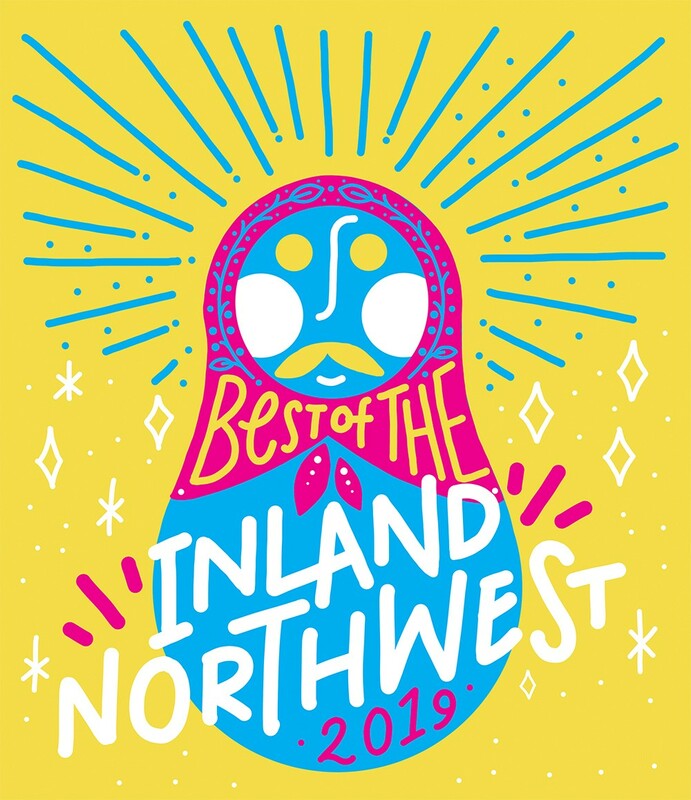 The Best of the Inland Northwest is truly a celebration of the excellence we see all around us. Everyone has a personal favorite, and for some questions the tally sheets go page after page, reflecting how many different ideas of what's "Best" are out there. So many people are deserving of your love, but here we have compiled the top three vote-getters for nearly 130 questions. You'll find the old favorites — Best Pizza, Best Singer-Songwriter — along with many new questions to reflect an even broader picture of the Inland Northwest — Best Mural, Best Escape Room, Best Ramen, to name a few. You'll also read about three new inductees to the Best of Hall of Fame, who have won 10 readers poll awards. We have special sections just for our many readers in the Sandpoint area and down in the Palouse. And as always, you can see the top Coeur d'Alene/Post Falls/Hayden choices in many of the categories, listed as "North Idaho's Best." Finally, we're offering your take on Inland Northwest Romance, detailing everything you need to know from the Best Place for a First Date to the Best Baby Doctor. This is a great week to congratulate winners — and anyone who is Best in your heart. Together, they all make this a great place to live! The original print version of this article was headlined "You Are the Story!"